She’s here again with the empties. So this month I’m a little early as I moved all my empties from my little bag to a bigger drawer in my new room, and then the drawer started overflowing and wouldn’t close. I know, I use way too much stuff. I’d also just like to say that I’m currently sat in Starbucks writing this, as I still have no internet in the new house so if I post at weird times or on weird days it’s because I’m taking advantage of someone else’s wifi- bare with me. So this last month I’ve used up a decent amount of stuff again, including a few more makeup bits than usual. Also as I’ve been on holiday I have so many toiletries that are nearly finished but aren’t so I imagine August’s post may be lengthy too. So I ran out of this on holiday and was distraught when I had to replace it with a matt spray halfway through my trip to Budapest. This stuff is lovely and I’ve already had a couple of bottles. I can actually tell a difference when I use this and it comes out as a fine mist rather than large spray droplets which ruins the finish of your makeup like some sprays I’ve used (I’m talking about you Mac Fix +). Would I repurchase? Yes when I’ve finished this newest bottle. I set myself the goal to pan this blush over the last month or so, I’ve had it for years and really should have thrown it out but it seemed like a waste. Anyway I’ve managed and have totally finished this blush. 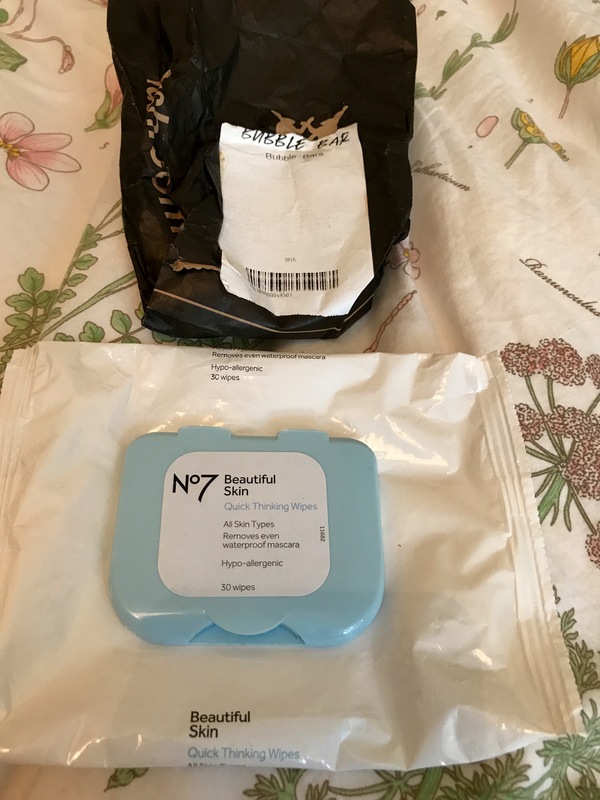 It’s a lovely blush for pale skin tones or a more natural look- however I hate the packaging it is so bulky to store in my collection and is not convenient for a travel makeup bag at all. Would I repurchase? No as Benefit is not cruelty-free and I have other blushes to be using. Again, like the blush, I decided I wanted to use the rest of this bronzer up. I bought it last summer and it has lasted a long time considering how frequently I’ve used it. The formula and scent was nice however really it was too warm and orange for me, I was just using it until I got hold of a new bronzer. Would I repurchase? No as the shade was wrong for me, but this would be gorgeous on a deeper, more tanned skintone. This was okay, I’ve used it before and it does give you glowy skin, but I do prefer the pink version over this one. Would I repurchase? Probably not, it’s not a bad product, it’s just not my favourite. This is an old favourite, I’ve been through a few bottles of this over the years. It has the classic S&G scent and lasts a long time due to the size of the bottle. I’m a little wary to buy it again though as I feel like I may have had a reaction to it recently but I’m not sure, maybe I could try using a miniature bottle to check. Would I repurchase? Possibly not, but not because I don’t want to! You’ll have heard me talk about this before I’m sure, I love the original source products, I just alternate which scent I have each time. This one smells lovely, like almonds and shea butter, a nice one for a nice relaxing bath! Its quite thick and is very moisturising so does feel more like a cream than a gel. Would I repurchase? Not straight away but I would use this again. I’m so nearly there with collecting the Lush pots to get a free facemask (you need to take 5 of the black pots back). 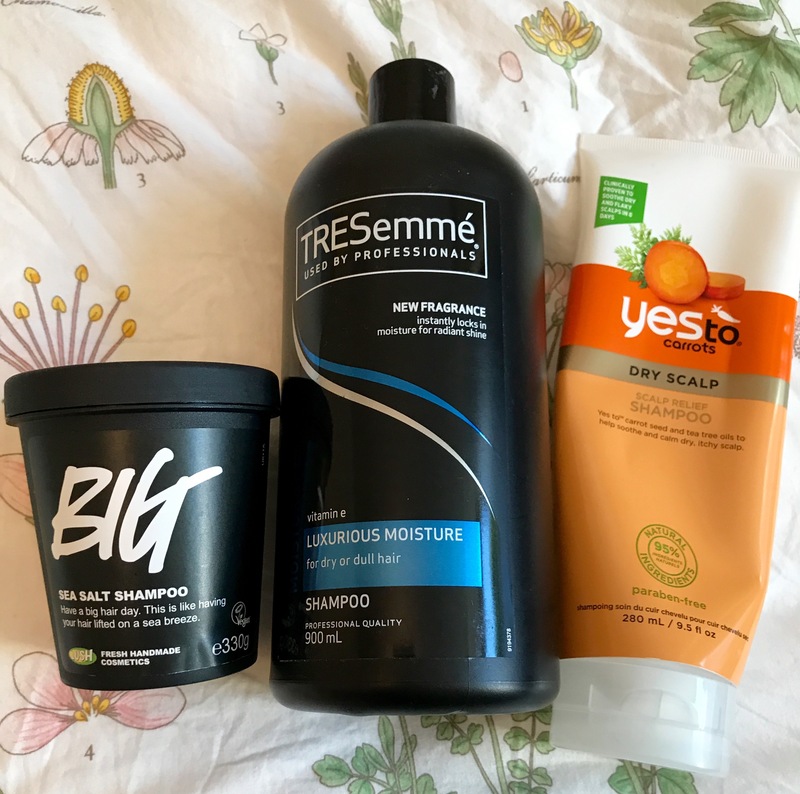 I love this shampoo for adding bounce to my curls and Josh loves it for getting texture into his short hair so it’s perfect for everyone and it smells lovely. This is yet another bottle of my naughty shampoo usage at Josh’s as it’s not cruelty-free. But like I’ve said before, it’s a shame because it works miracles on my hair. Would I repurchase? I’m trying very hard not to. I’ve also used this before, this is really good if you have a dry scalp/ have burnt your head on holiday! It smells okay and isn’t stupidly expensive when it’s on offer. Would I repurchase? Maybe not for a while, I want to try out a few new shampoos before I rebuy the same ones again. This is obviously an essential, there is one in basically every empties I post. It smells nice, doesn’t leave white marks on your clothes and it lasts all day, what more can a girl want? Again another boring one, I’ve found something I like that is cheap and cruelty-free so I’m sticking to it. 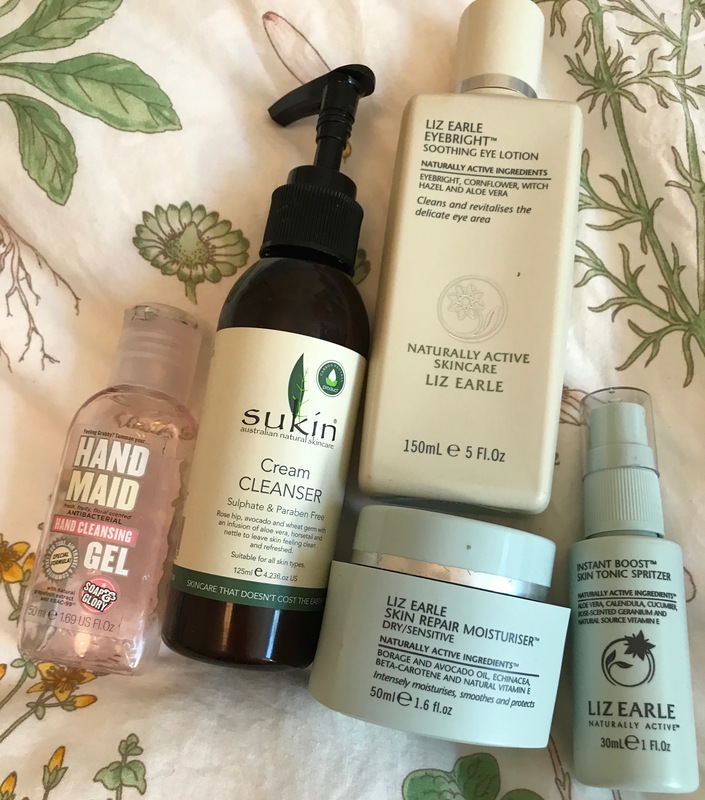 This cleanser was a really nice alternative to my usual Liz Earle, it smelled like Terry’s Chocolate Orange for some reason (no complaints here) and it did a good job of removing my makeup and leaving my skin nice and soft. Would I repurchase? Yes probably when my other cleansers have run out. Okay this a cheat empties, it’s only empty because I poured it down the sink because it had gone off I’ve had it that long. This is my reminder to you to check the expiry dates on products and to use up older products first! Woud I repurchase? No because I obviously didn’t use this the first time round. This moisturiser is lovely, a very rich and creamy formula which is perfect for evenings. It smells gorgeous and my skin always feels healthy whilst using this. Would I repurchase? Yes I’m just taking some time to use up some other moisturisers first. This is a travel size version of my usual toner/spray. It adds an extra layer of moisture to the skin before moisturising. It can also work well on a cotton pad to remove any final his of makeup. Would I repurchase? I don’t need to at the moment as I have a full size bottle already. I’ve used these time and time again, they’re just handy whilst applying makeup to clear up any fallout and to wipe foundation hands on. Would I repurchase? Yes as I can get these so cheap from work. Ending on a high, this week I got to have my first bath at uni after 2 years without one, obviously this called for a bath bomb. My friends bought me this of my birthday and it was a gorgeous orange coloured bath with a refreshing citrus scent. This bar is quite large so should last a few baths, but I got a bit excited and threw the whole thing in at once. Would I repurchase? Yes at some point but I like to try all the new things in Lush! So that’s it guys, another empties done and dusted, hopefully I haven’t bored you too much. 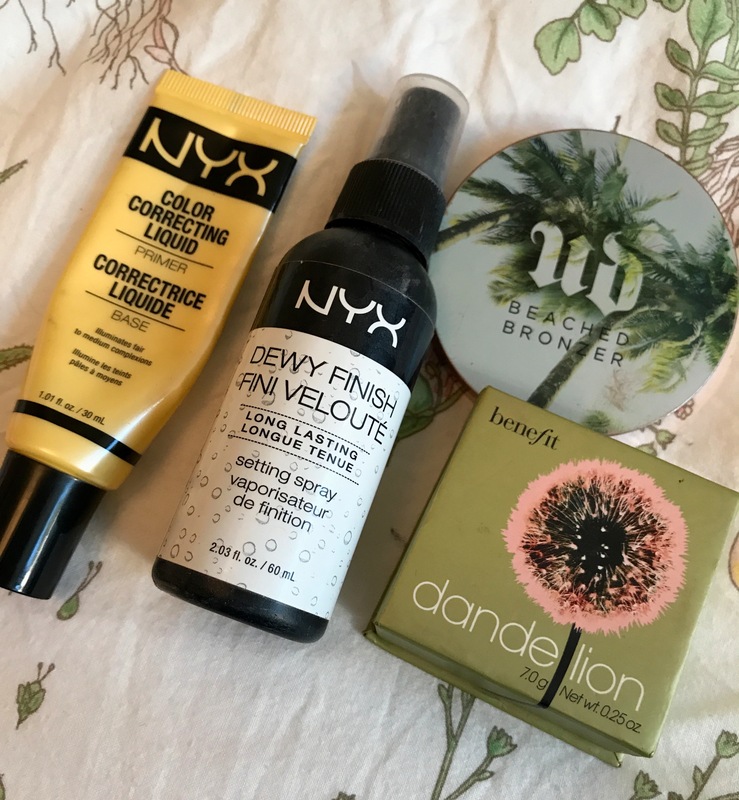 Let me know what you think about these products or if you have any suggestions for me! 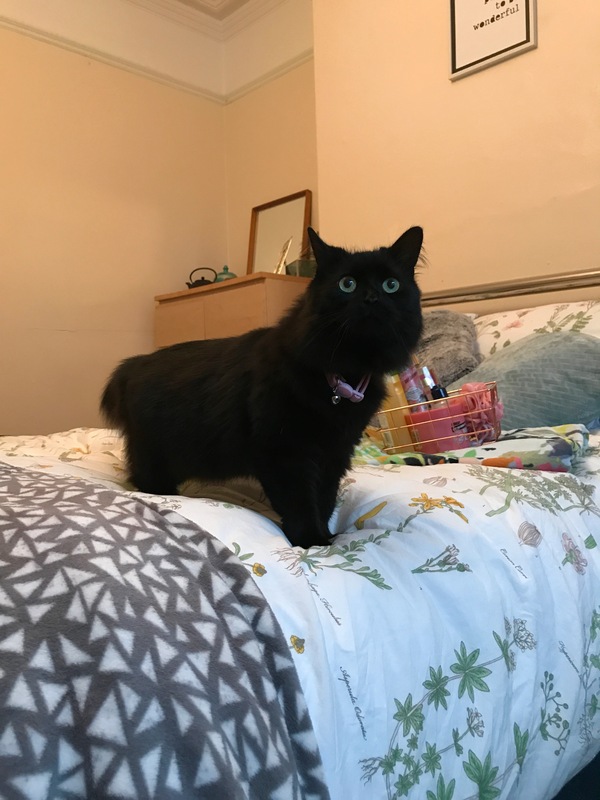 I particularly enjoyed this month’s as next door’s cat decided to join me whilst I was taking photo’s, so I will leave you with her cute little face. 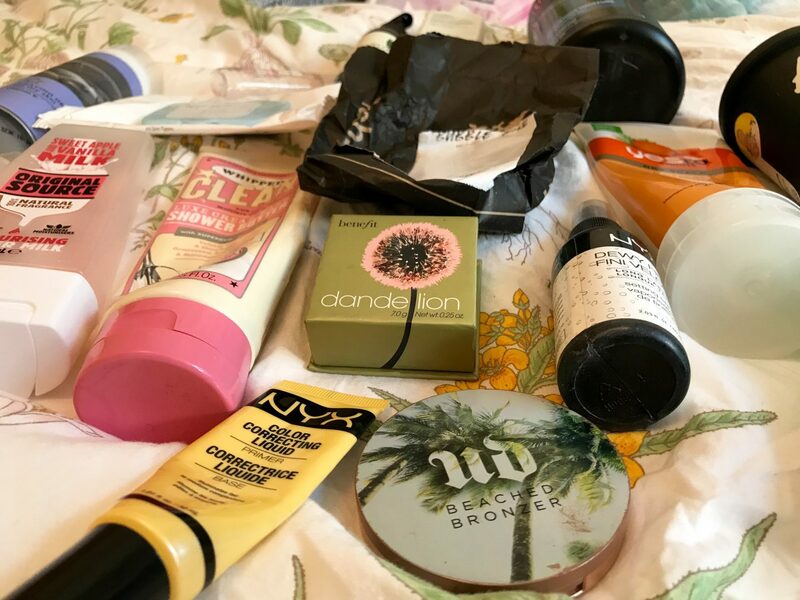 I love reading your empties posts! 😀 The apple and vanilla shower gel sounds amazing! I’ll have to check it out. 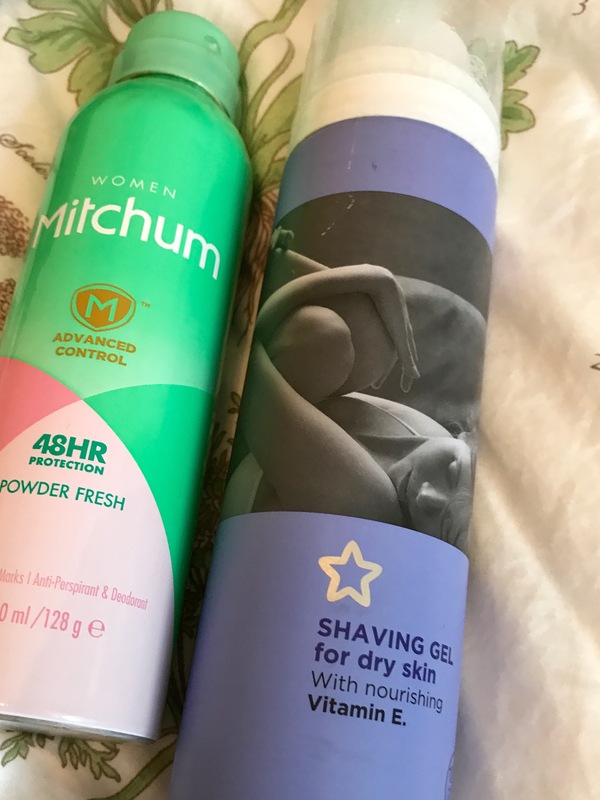 I also agree with you about Mitchum deodorant – it really is great! That soap and glory shower gel sounds so good….almonds and shea butter scent has me sold!! Wow you finished a lot of makeup! Blushes and bronzer are so difficult to pan!